Nature has its own ways to amaze us. 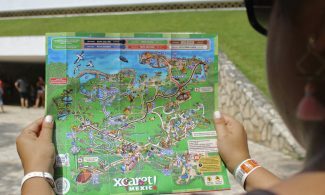 And just before we take a good swim in its clear and fresh water, you may know that the underground rivers at Xcaret are part of a natural network of channels. 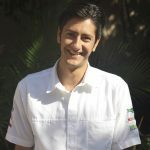 They circulate all around the Yucatan Peninsula. 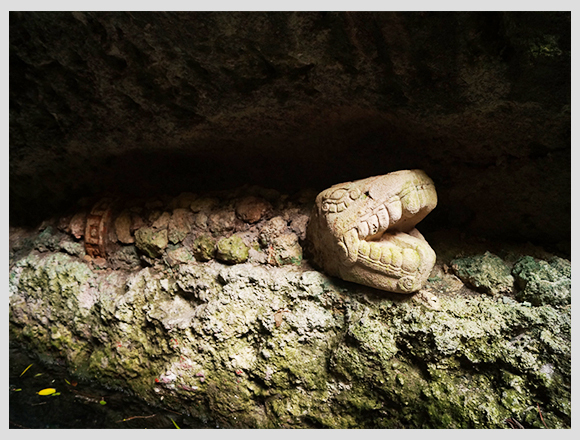 Giving us the chance of exploring their caves and wonderful sceneries full of life. Go grab your life jacket, flippers, and snorkel because we are going to take a tour on this waters. Who knows what will we find. You may see that parts of these rivers are not underground. This is because through the years the rock ceiling above them collapsed. Therefore man was able to discover them and to find where do they lead. 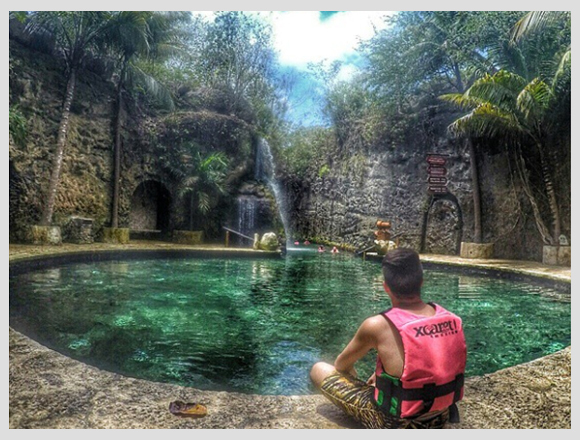 Even after putting your toes in the water you may be thinking things like “Am I really have to swim in here?” It´s like you traveled in time hundreds of years back to the Mayans era where an ancestral gate awaits at the edge of a lazy river. Have you ever imagined how a Mayan village looks like? Keep swimming, you are about to discover it. They used to built villages near to cenotes or sinkholes. 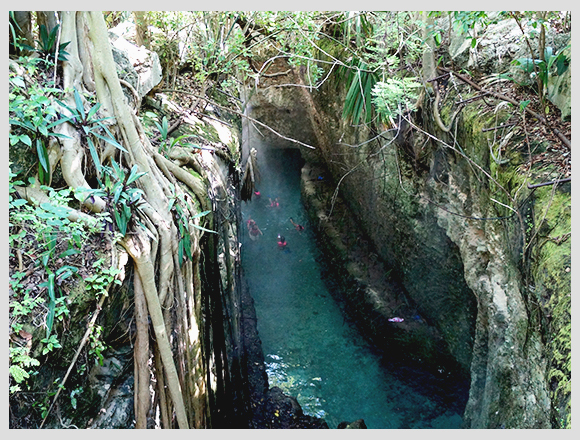 At first, cenotes were used in rituals and for water collection. Also, these cenotes were connected with very deep caves and passages to this rivers network. You can feel the mystical vibe of this waters. Being in the middle of the jungle gives us the chance to be in contact with nature. 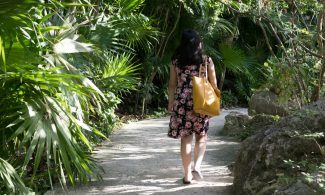 Allowing us to observe the amazing flora of the Riviera Maya. Mangroves are a stepping stone at the rainforest ecosystem. They provide home and food to many animal species. 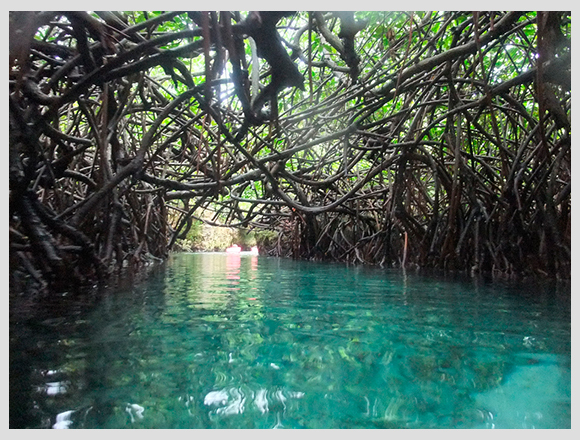 Mangroves form natural labyrinths that are amazing for the sight. Enjoy the tranquility and the silence in here. We have been swimming for several minutes and every second of this experience is surprising us. It’s time put on our masks and take a deep breath to discover the colorful inhabitants of this magical place. Our new friends come in all shapes and colors swimming with a harmonious peace that is relaxing. Finally, out of the water, we will find beautiful gardens. 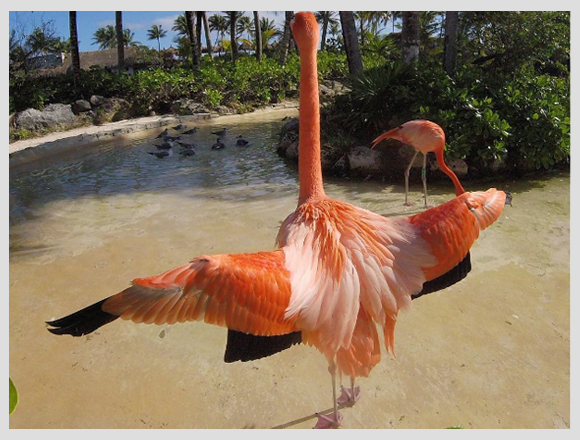 All the green tones of nature combine perfectly with the pink colors of the flamingos. 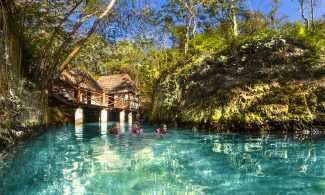 In the end, we will have a lot of feelings, sensations, and thoughts that will remain until the next time we swim in the Blue River, Manatée River or Maya River. What was your favorite part of swimming at the rivers?